Social media: it's not just for consumer marketing anymore. At first, I too was skeptical that it could be used to sell business solutions to enterprises. As it turns out, though, lots of people who evaluate and purchase technology for large companies do, in fact, gather information via social media. A survey from Forrester Research claims, "77 percent of business technology decision-makers engage with social media on the job." This is good news for SaaS marketers for two reasons: 1) When done well, social media efforts work, and 2) they can be relatively inexpensive and cost-effective. Wikipedia defines "social media" as "relatively cheap tools that enable anyone (even private individuals) to publish or access information." I wouldn't use the word "cheap", but in the software-as-a-service (SaaS) model, "cost-effective" is critical . Because we're paid over the term of the subscription, it takes longer to recover up-front costs, such as the sales and marketing expenses related to customer acquisition. If we're spending $1 to acquire a customer that pays us $3 over the life of the subscription, it's not a problem. But if we're spending $5 to earn that $3 revenue stream, that is a problem. Trust me, you won't make it up in volume. 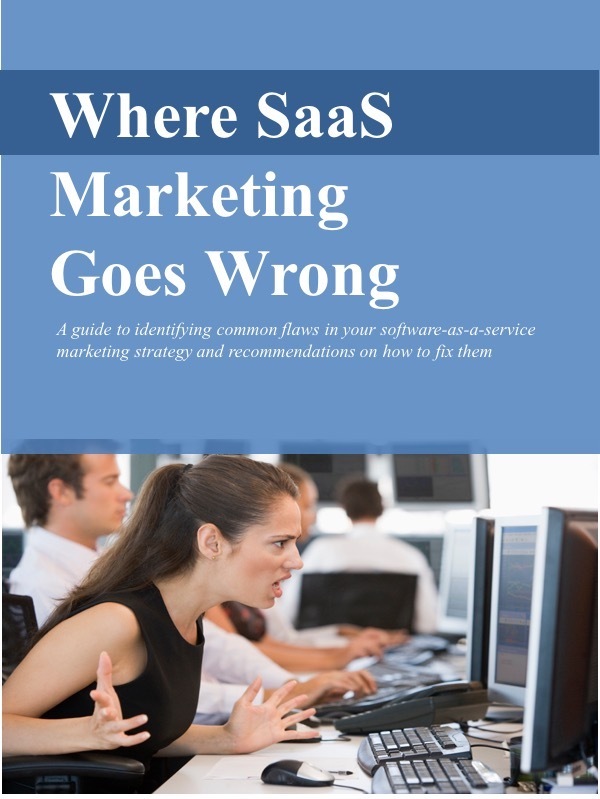 While large one-time, up-front license fees paid in the traditional on-premise model might disguise inefficient sales and marketing expenses, in the SaaS model they're much more difficult to hide. As I described in the "Wile E. Coyote" story, if you overspend on customer acquisition, those costs, like the desert floor in the RoadRunner cartoon, will jump up to meet you quickly and painfully. That's why social media should appeal to SaaS solution marketers. Believe me, I'm not looking at social media and SaaS as the nexus of some grand paradigm shift in technology and commercial interaction. Theorists and futurists can have a field day there, I'm sure. Participate in the conversation: That's my "speak plain English" way of saying "blog." People involved in the decision making process for your solution actually read these. You can publish your own blog, though you might be better off joining in the conversation by commenting on others' blogs. If they're good, they've already done the really hard work of attracting traffic, a.k.a. "readers." Find relevant and influential blogs: There are dozens of blogs covering virtually all the large SaaS solution markets: CRM, ERP, marketing automation, talent management, etc. Nearly all the leading analysts from the market research firms maintain a blog. You'll also likely find relevant discussion forums on LinkedIn. The best idea is to ask your prospects directly what blogs they follow. Provide real value: The biggest cost for participating in these conversations is the time required by the contributor. They should have something valuable to add to the conversation - a unique perspective or the benefit of experience. Avoid commercials. Paul Gillin and others have written entire books on how to use blogs and other social media effectively. Build a relationship. Selling an enterprise solution that's to be deployed broadly requires a high degree of comfort and trust, something you won't earn overnight with one or two posts, no matter how brilliant. But your participation in influential blogs, done well and consistently over time, can help you build visibility and credibility, which are critical to generating leads and cultivating prospects. Make yourself findable: Optimize your blog or your web site so it can be found by search engines. Engaging legitimate search engine optimization experts, people who know how to improve your rankings, is usually a good investment. Social media should be a key part of your efforts to market a SaaS solution. It will help you reach an influential audience and it can be done cost-effectively. Do it not because it's cool, but because it works.